Andrea Littlewood is the owner and primary instructor at Bodemotion. 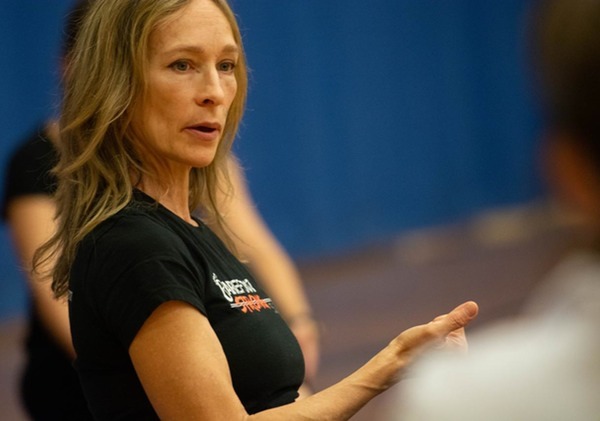 Teaching as a Professionally Certified Pilates Instructor for 18 years, she is Nationally certified with the Pilates Method Alliance, a Graduate of the Kathleen Grant Heritage Training, Barefoot Training Specialist level 2 and Functional Movement Screen certified level 2. Andrea is currently working toward her Strong First Gyra Russian kettlebell certification. 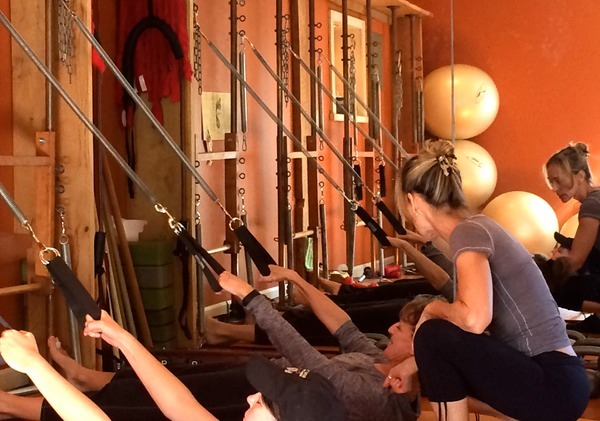 Andrea’s decades of study in anatomy and movement mechanics has led her to amalgamate her extensive Classical Pilates experience with Functional Fitness trainings and Fascial Fitness innovations. Her work will teach you corrective and optimal movement strategies, daily joint care and increase your fascination with your human form. Highly recomended by local physical therapists, Andrea can coordinate with your PT, for post-physical therapy support and transition. She will integrate your PT's protocol and recommendations into her work with you so you can learn how to integrate these strategies into everyday movement and exercise. From clients with age related issues to youth athletes looking to learn more about movement, posture and how daily habits affect the body, Andrea will educate you on movement quality and awareness that lends tissue and joint integrity and a lifelong improvement of movement. Her experience includes Parkinson’s clients, post hip and knee replacement support, performance enhancement, pelvic floor issues, postural alignment and breath work. Andrea is certified by the Pilates Method alliance, which is the most rigorous National Certification for those in the Pilates field. This certification lets you know that a teacher is qualified not only to give you the form of Pilates, but also has proven anatomical, mechanical and professional Pilates training and experience. Designed by Dr. Emily Splichal, world renowned Podiatrist and Movement Specialist, this work is based on fascial activation and is science evidence based. The human foot is a complicated structure of 26 bones, 33 joints and 107 ligaments. It is designed to be a mobile, moving, shock absorbing mechanism of locomotion and is a foundation of all standing work. Too much time in rigid footwear, our feet become sources of pain and lack stability and integration into the core. Barefoot training can improve core stability, hip stability, gluteal activation, balance, injury prevention and perfomance enhancement. Bunions, plantar fasciaitis, ankle mobility and stability issues as well as hip issues can all be addressed in sessions with Andrea. Andrea was honored to apply and be accepted into a year long Graduate Program of Advanced study with one of her mentors and Master teachers, Cara Reeser. 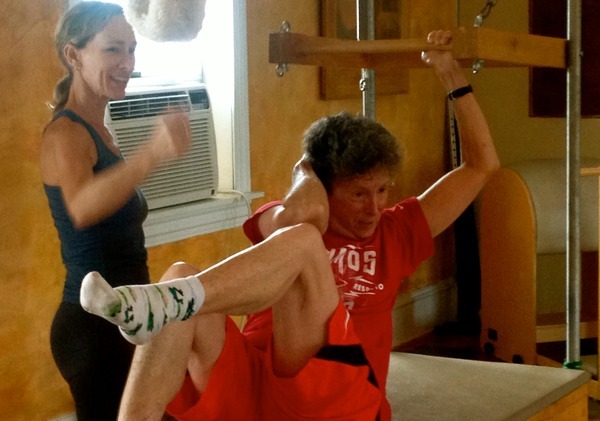 Cara created the Kathleen Grant Heritage Training after studying intimately for over 2 decades with Kathleen Grant, one of only two teachers that Joseph Pilates himself certified during his lifetime. Kathleen passed away in 2010, and Cara travels nationally and internationally to share her philosophy and teachings and has become the primary torch holder of Kathleen’s work. 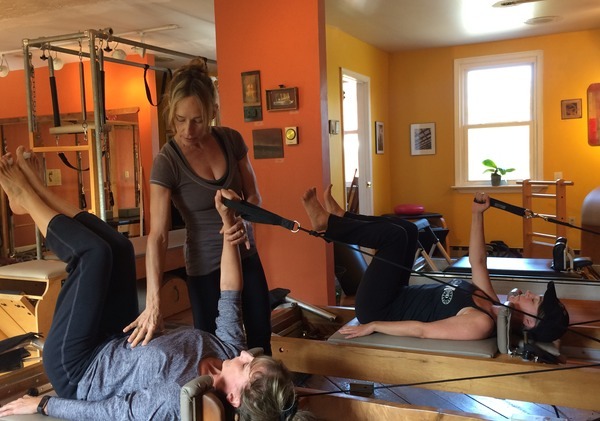 Cara also runs her own studio, Pilates Aligned, in Denver, Colorado. Andrea is a Certified Functional Movement Screen Specialist. This screen is made up of 7 functional human movments that are developmental and can become dysfunctional by pain, habits, nervous system issues and injury. The screening takes about 20 minutes and can illustrate where your weaknesses and the likelihood of injury from training programs. The screening process will give specific information on the best exercises and method of training for your body.